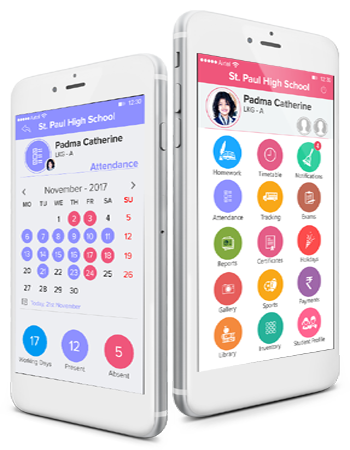 IGuru provides digital methodology of notifications and updates through App notifications, Sms & emails to parents about every event taking place in the school. Its truly a free sms school management system for updates. It’s a medium of communicating messages between school management and parents. Parents and administration/ Management can easily deliver their students reports via sms alert, notifications, emails. School Software notification supports, Android, Iphone, smartphones. Greatest ability is to keep tracking the upcoming events and reminders for the same. Important dates like- Parent teacher meeting, exams, results and all calendrer related updates.